By Melissa Heule . Published on December 13, 2016. 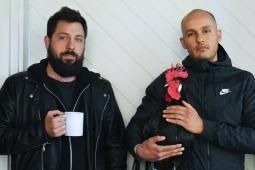 Camp & King has hired Luis Farfan andAndy Lewis as associate creative directors. Farfan previously worked for the U.K. fashion brand Paul Smith as an in-house designer and art director. Most recently, Farfan was running Denada, a freelance consultancy, as the art director and creative director for brands including Uber, Target, Kmart, PepsiCo, Coca-Cola Co, MoMa SF, BBVA Bancomer and Urban Outfitters. Lewis is a former biologist, banker, and tobacco sales manager who has been a senior copywriter in the U.S. and Europe. He has worked on campaigns for brands including Cisco, Harley-Davidson, Ikea, Škoda Auto, and T-Mobile. Lewis has also worked on the client side at Philip Morris and Wells Fargo. BBH LA has hired Lesley Danger Bea as associate creative director. Bea previously worked on Beats by Dre's "Straight Outta" campaign. She has also worked with R/GA, David & Goliath and Draft FCB. 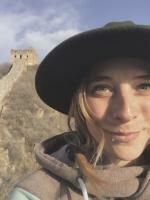 An avid traveler, she has visited and photographed Jordan, Nicaragua, Uganda, Morocco, Colombia and India. 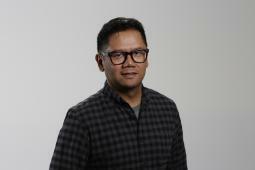 RPA has hired Marlon Hernandez as VP, group creative director. He will manage the Digital Design group and guide digital programs for all clients. Most recently, he was a creative director at Saatchi & Saatchi L.A. where he led the Platform Design team, which creates and manages Toyota's digital presence across multiple consumer touch points. Prior to that, he worked at TBWAChiat Day, CP&B, R/GA, and Attik. He worked on clients including Bank of America, Aetna U.S. Healthcare and the U.S. Postal Service.